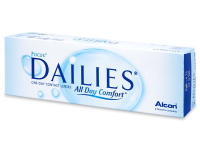 Focus Dailies All Day Comfort contact lenses from Alcon are daily disposable lenses. They contain the moisturising agent PVA, which is released with every blink. Your eyes remain moist and comfortable throughout the day. 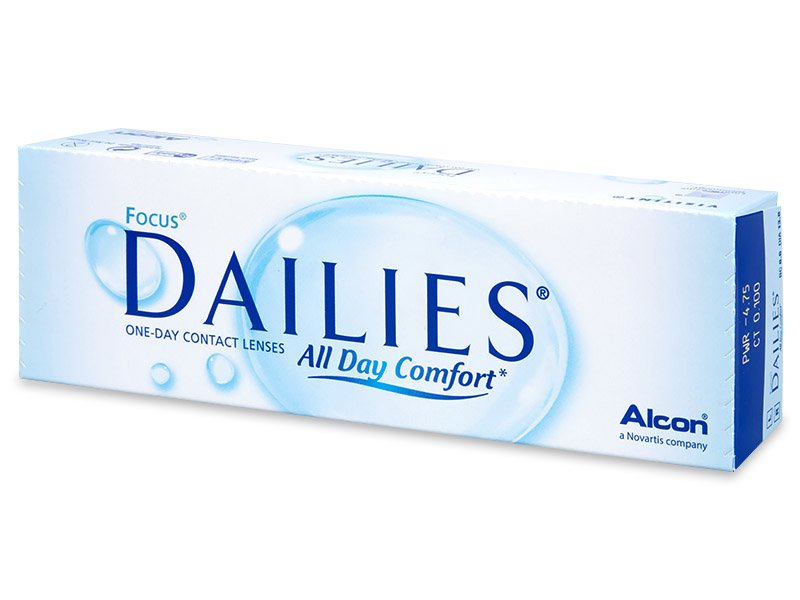 Focus Dailies All Day Comfort contact lenses, produced by Alcon, are daily disposable contact lenses that contain the moisturising component known as PVA. 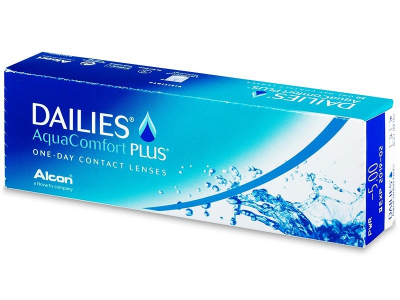 Each blink releases a small amount of this substance to provide sufficient hydration and clear, comfortable vision. You can also buy a larger package of 90 Focus Dailies All Day Comfort contact lenses at a bargain price. 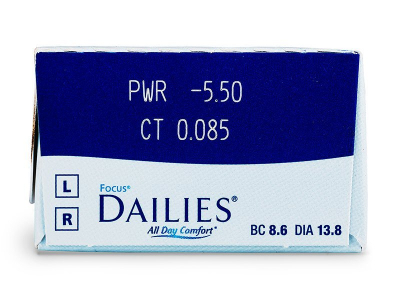 Focus Dailies are an ideal option for those who need contact lenses only occasionally, for example, while playing sports. However, they can also be used on a regular, daily basis. No cleaning or storage is involved in wearing daily contact lenses, as they are discarded after one use. You can be sure that your lenses are always clean and fresh, and there is little risk of pollen, dirt, or deposits adhering to them. 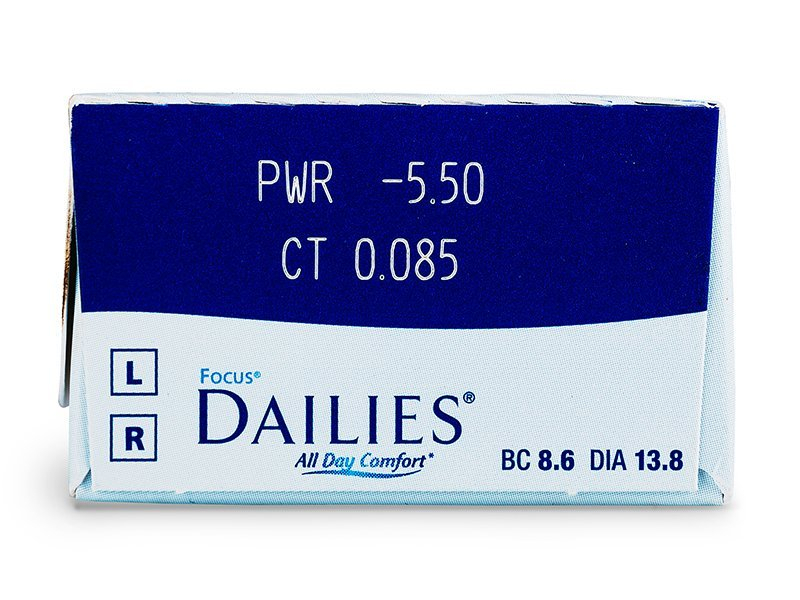 Focus Dailies contact lenses are lightly tinted for easy handling. 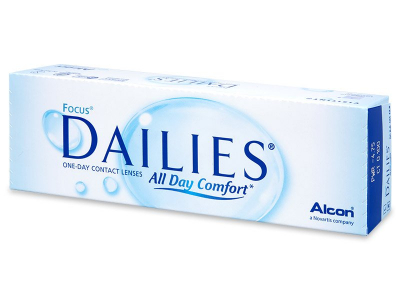 According to Alcon, 95% of users reported no problems changing from Focus Dailies All Day Comfort to Dailies AquaComfort Plus. The change can be made without visiting a specialist. 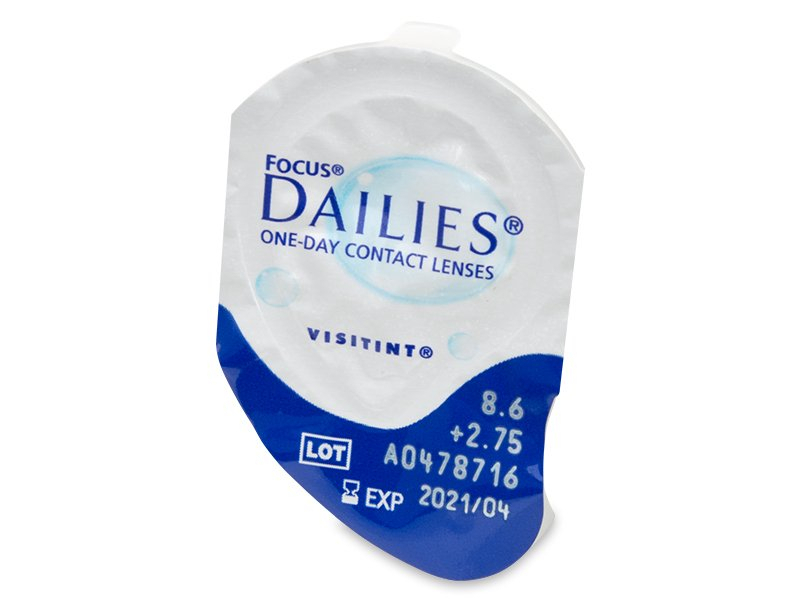 Is it possible to order focus daily contact lense with a different DIA? I've had 14.0 with other lenses, and not sure if it will make a big difference in comfort/vision quality? Hi Calvin, Focus Dailies diameter is 13.8 mm, and this is a standard measurement from the manufacturer. You should not notice any difference if your prescription is within 0.2mm of these. If you have any questions, it's always a good idea to check with your optician. I'm interested in focus dailies, but I have bc 8.60 and dia 14.2. Will these be suitable for me? Dear Stuart, the diameter of these lenses is a standard 13.8mm. 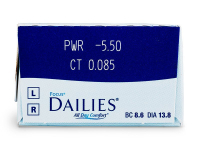 If your prescription varies by more than 0.20mm, it's best to check with your optician to find a more suitable option.